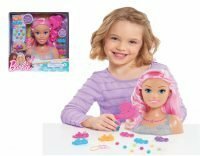 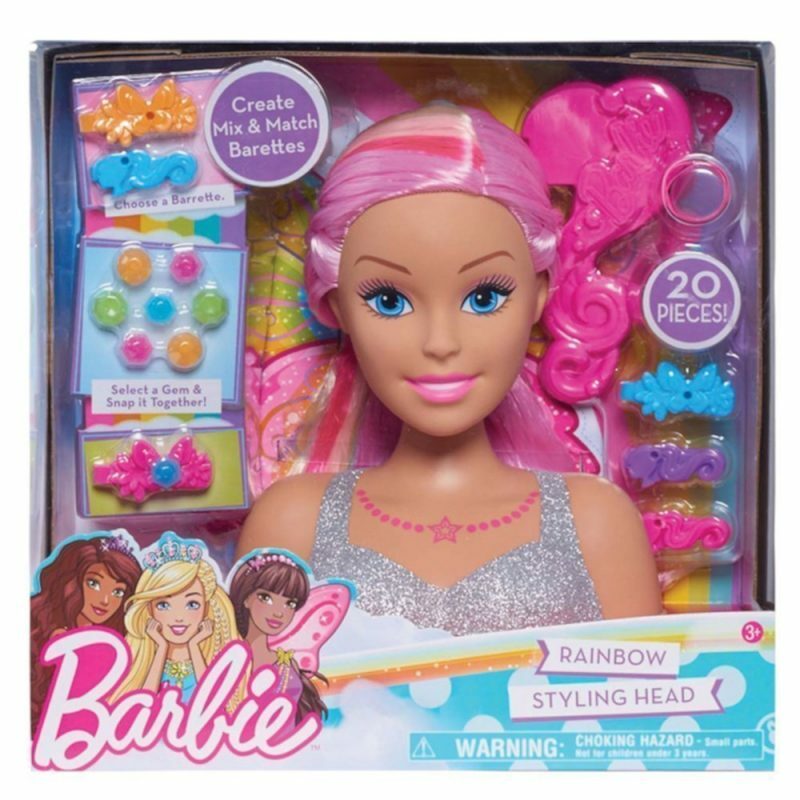 The Barbie Dreamtopia Styling head is full of fantastical styling fun! 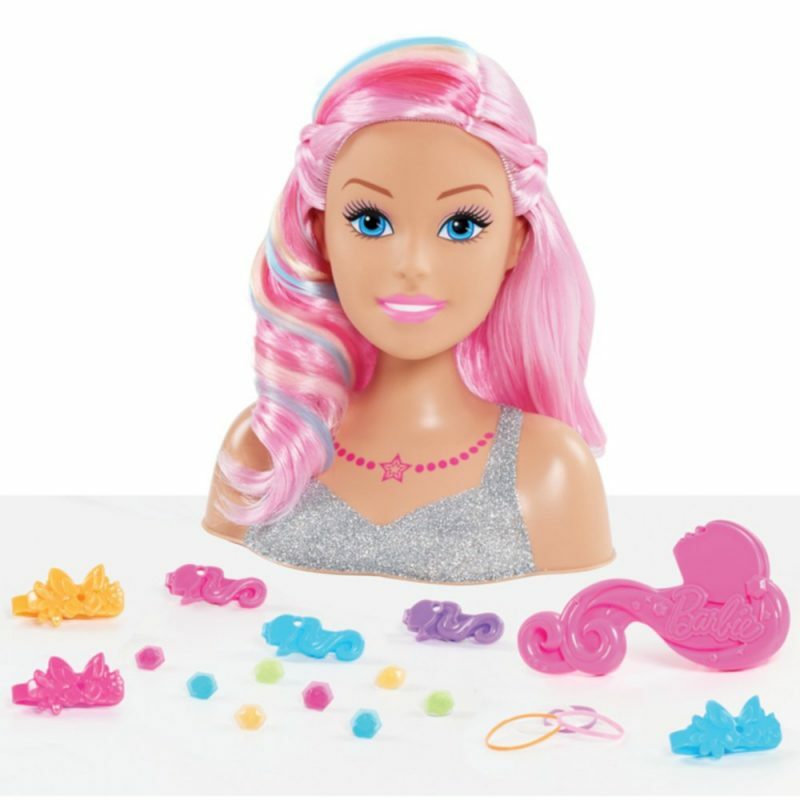 Barbie’s thick flowing, rainbow locks are perfect for brushing and braiding into trendy designs! 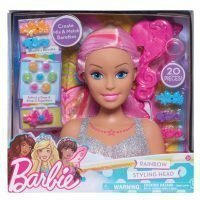 Use the hair ties and cute brush to give Barbie a whimsical up-do. 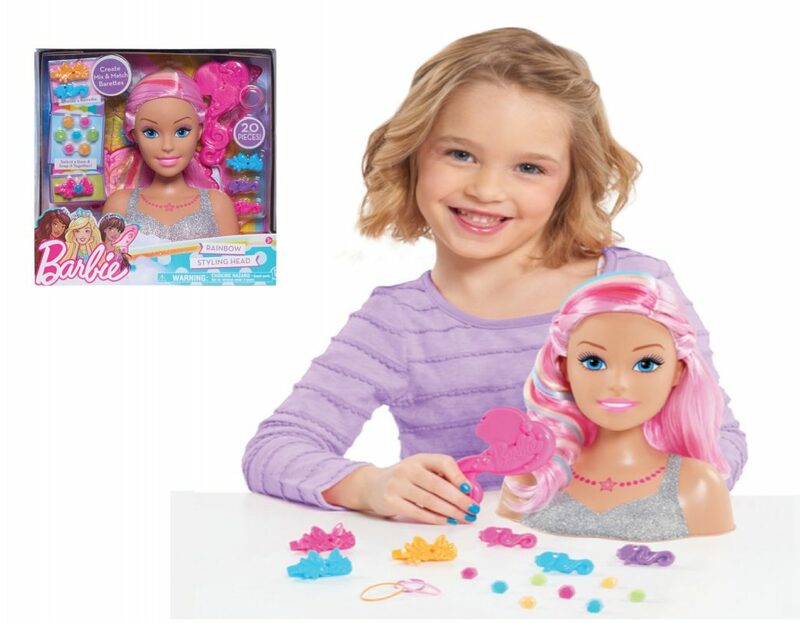 Pop the bright gems into the barrettes and fashion Barbie’s hair into the most magical styles! 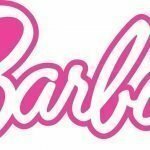 With your help, Barbie will be the dreamiest girl in town! 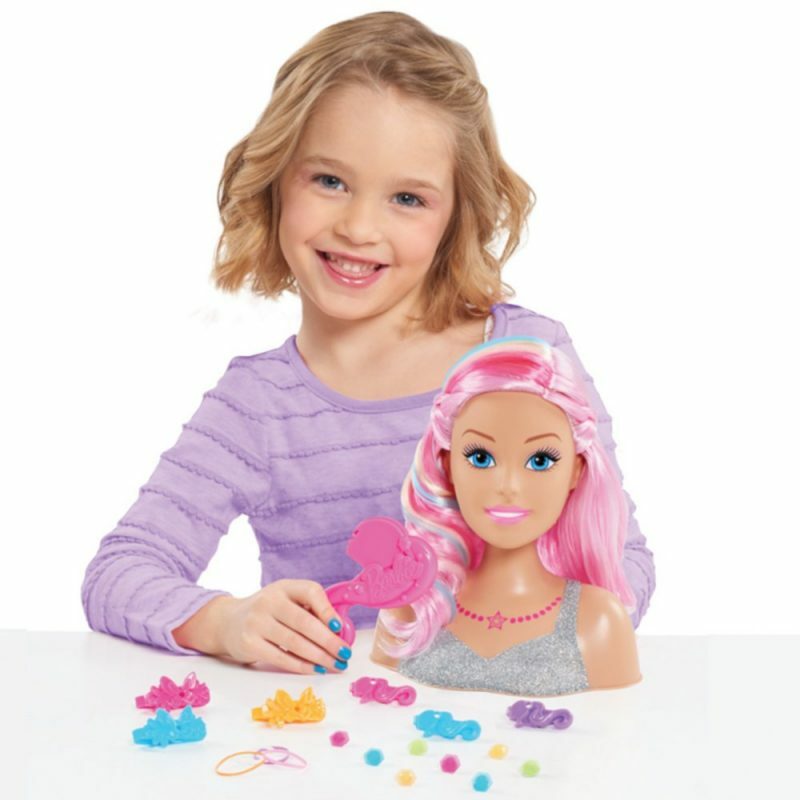 Wear and share accessories add to the fun, full set includes 20 pieces.